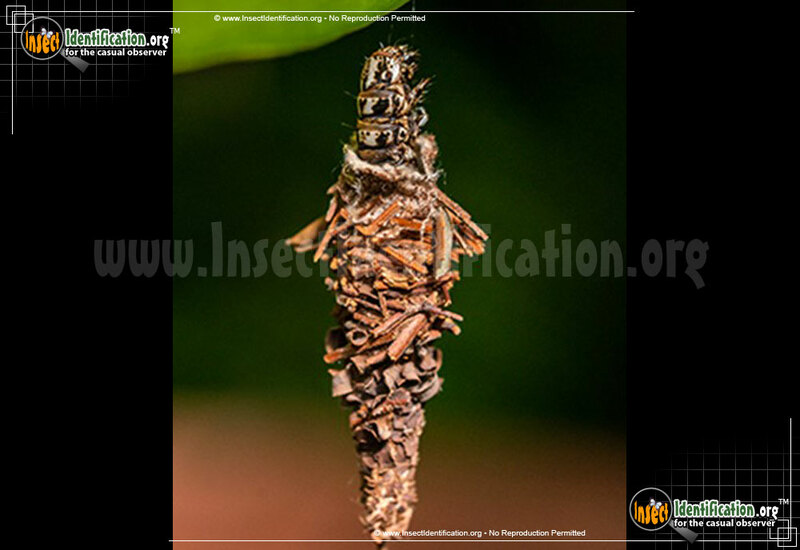 The Evergreen Bagworm Moth is visually interesting, but its littered larval form really gets people’s attention. At first glance, the Evergreen Bagworm Moth’s caterpillar looks like a moving pine cone, mystifying most observers that are unfamiliar with this family of moths. 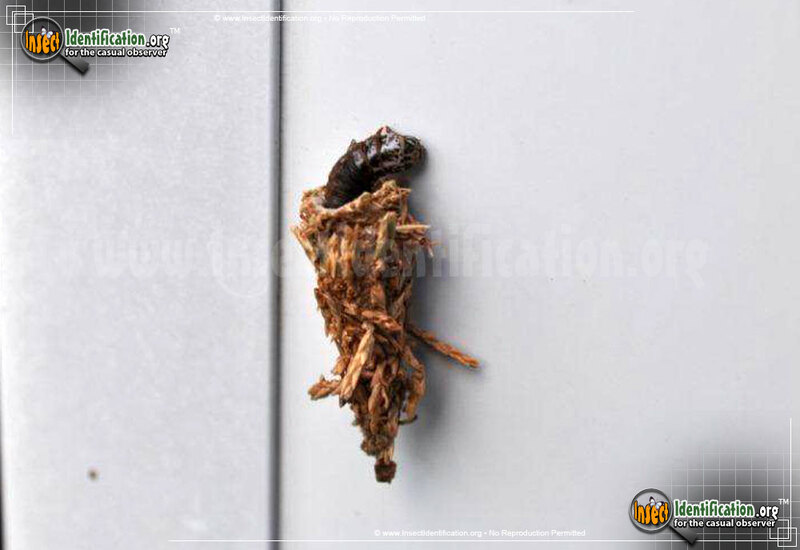 Bagworm Moth caterpillars wrap themselves in a silk cocoon onto which heaps of dead plant matter are laid. Some individuals are covered in just pine needles, other in small bits of wood mulch. 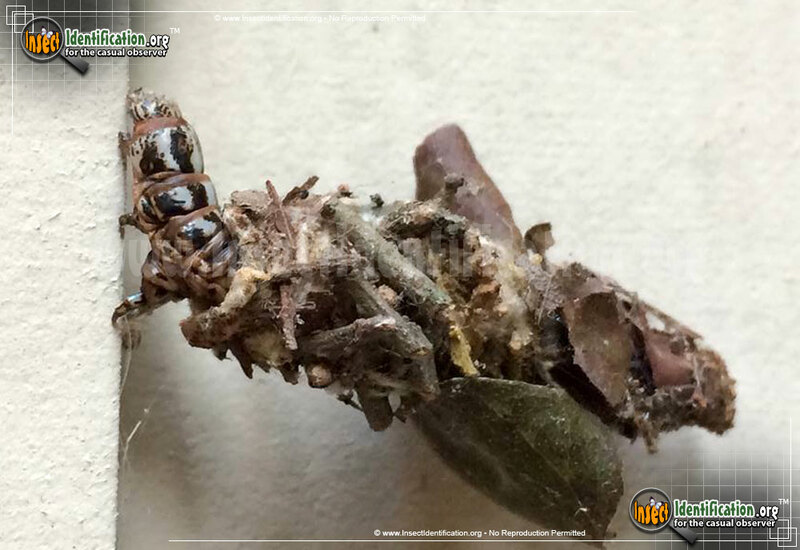 The debris depends on what is on hand or nearby when they are forming the cocoon. The caterpillar will spend much of its life in this makeshift bag, hanging from a branch, blending in with the tree. It is when they crawl around for food that people begin to notice them. The plant-covered cocoon is carried along with them everywhere they go. They move slowly, pushing their heads out of the bag and then retreating it in order to advance forward. This results in what looks like an anomaly: a moving plant. Once the caterpillar’s life stage is over though, it pupates in the bag it created and emerges a dark and furry moth with feathery antennae. Wingless adult females keep their bags. Males will fly to females to mate and females lay their fertilized eggs in their old bags. Once the larvae hatch, they will create their own silk bags of debris. Note: An insect’s reach is not limited by lines drawn on a map and therefore species may appear in areas, regions and/or states beyond those listed above as they are driven by environmental factors (such as climate change), available food supplies and mating patterns. Grayed-out selections indicate that the subject in question has not been reported in that particular territory. U.S. states and Canadian provinces / territories are clickable to their respective bug listings. Head: The head is home to the insect’s eyes, antennae, and proboscis.